George has concentrated his practice in tax-exempt general obligation and revenue bonds throughout his legal career. Prior to joining Hodgson Russ, George was a partner with the Syracuse law firms of Melvin and Melvin; Cregg, Storto & Finlay; and Hancock & Estabrook. He also worked at the Albany law firm of Krolick & DeGraff. 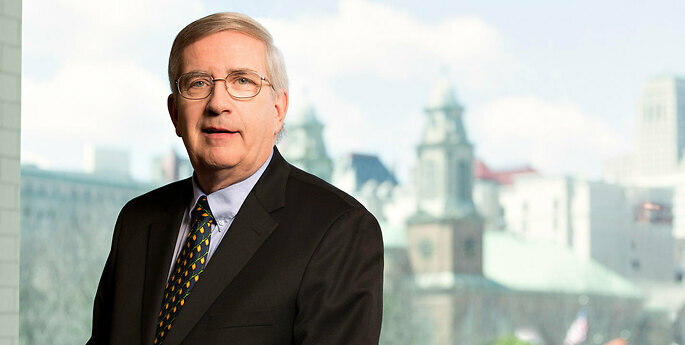 He authored the legislation creating the Green Island Power Authority and the Albany Municipal Water Financing Authority and has acted as bond counsel on numerous public authority transactions. For years, George was an approved provider of Public Authorities Accountability Act training.